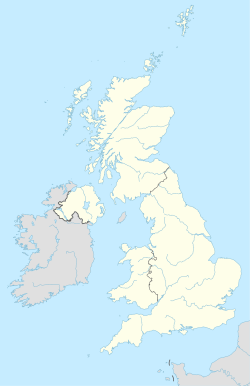 The M postcode area, also known as the Manchester postcode area, is a group of postcode districts in Greater Manchester, England. The postcode districts are subdivisions of three post towns. Most of the districts are within the Manchester post town; the other two are Salford and Sale. The area covers parts of all ten metropolitan boroughs of Greater Manchester, primarily the City of Manchester, the City of Salford and the borough of Trafford. The original M10 district was recoded to M40 in 1993. Today, the ITV soap opera Coronation Street uses M10 as the district for its setting of Weatherfield, with the street itself having the postcode M10 9KC. The M30 district originally included Cadishead and Irlam but these were recoded to M44 in 1994. The M31 district originally included Davyhulme, Flixton and Urmston but these were recoded to M41 in 1994. The M90 district was introduced for Manchester Airport in 1994. The M50 district was formed out of the M5 district in 2002. M postcode area map, showing postcode districts in red and post towns in grey text, with links to nearby BL, OL, SK, WA and WN postcode areas. Before the introduction of postcodes in the 1960s, Manchester along with other major cities like Birmingham, Liverpool and Sheffield was divided into numbered postcode districts. With a few exceptions these were directly incorporated into the outcode (the first part of the postcode). The districts were based on Manchester and Salford together and districts outside the city boundaries were also included. For example, the City Centre had postcode districts 1 - 4 (north-east, south, west and north-west respectively: Manchester 1 was around Piccadilly and 4 was around Victoria). 5, 6, 7 and 8 were in Salford and then the sequence continued across north Manchester and so round to M17 (Trafford Park). M18 onwards were further out still. ^ "Renting TV's most famous properties". TNT Magazine. 9 February 2017. Retrieved 15 April 2017. ^ "Royal Mail Postcode Update 34". Beacon Dodsworth. Retrieved 22 April 2017. This page was last edited on 21 April 2019, at 08:19 (UTC).